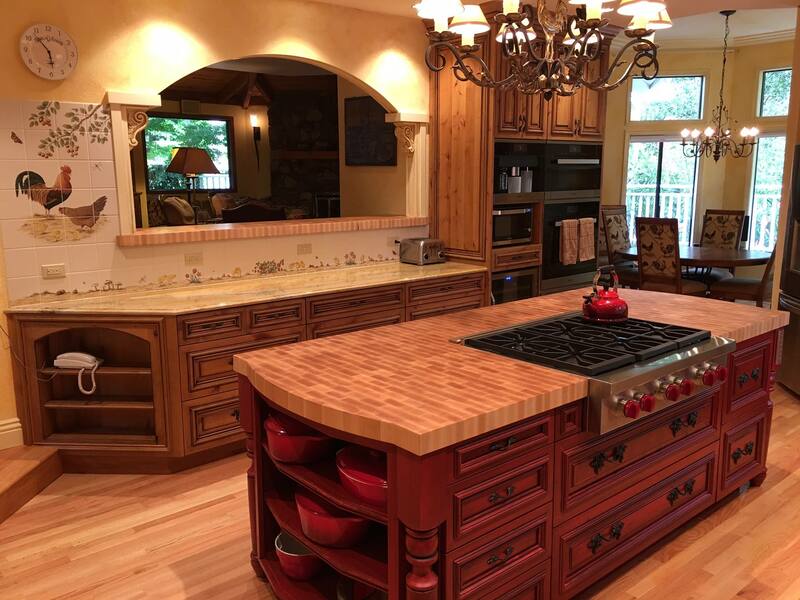 Cabinetry Resources | Feist Cabinets and Woodworks, Inc. 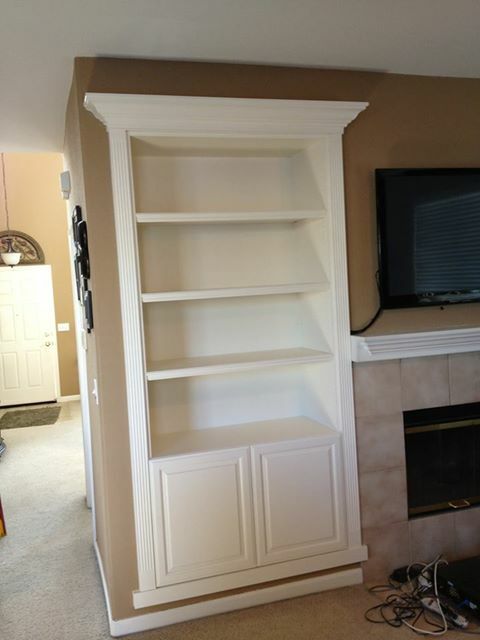 Cabinet installation isn’t always an easy job, sometimes you have to get creative! Nice job Pat Hill! A beautiful new knotty alder kitchen with painted island and hutches recently installed in the Kenwood area. 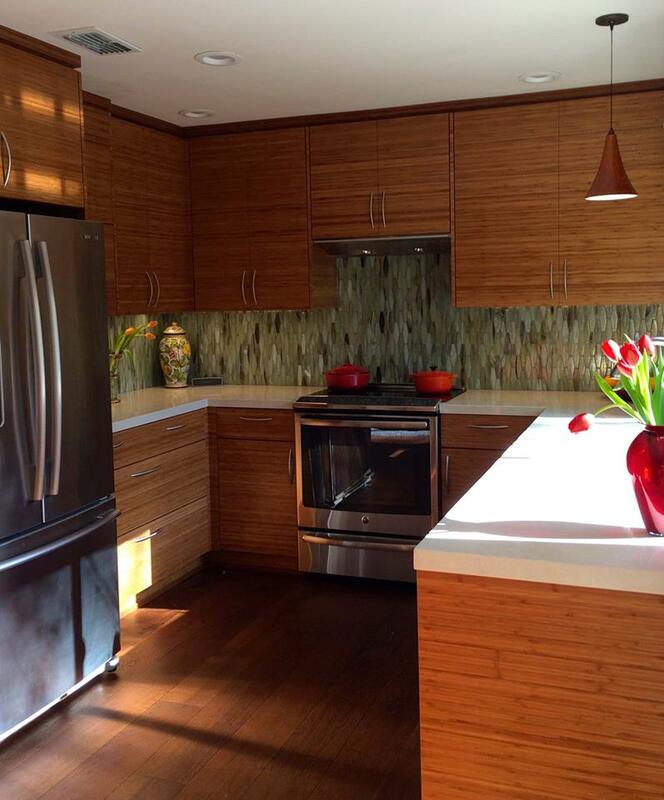 The new kitchen has a natural finish on carbonized bamboo. It turned out beautifully! 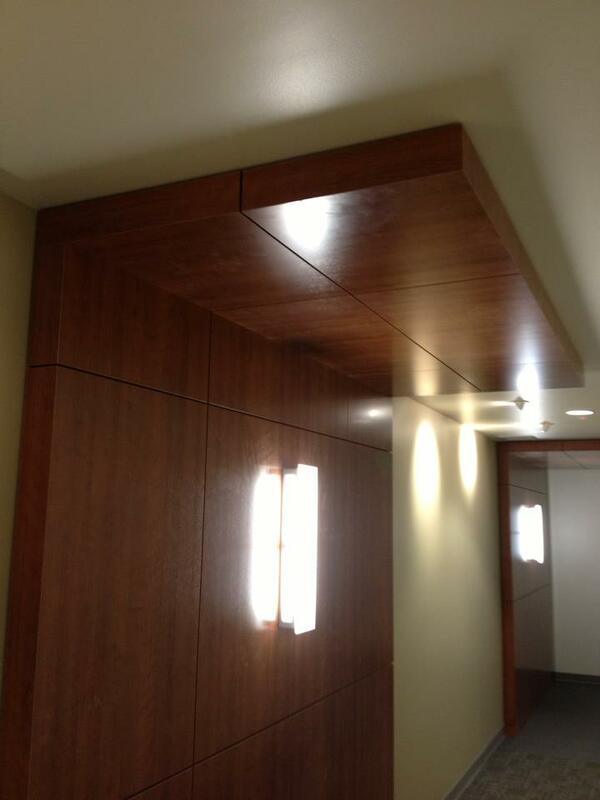 Engineered veneer with the grain running horizontally, make these floating cabinets really stand out. 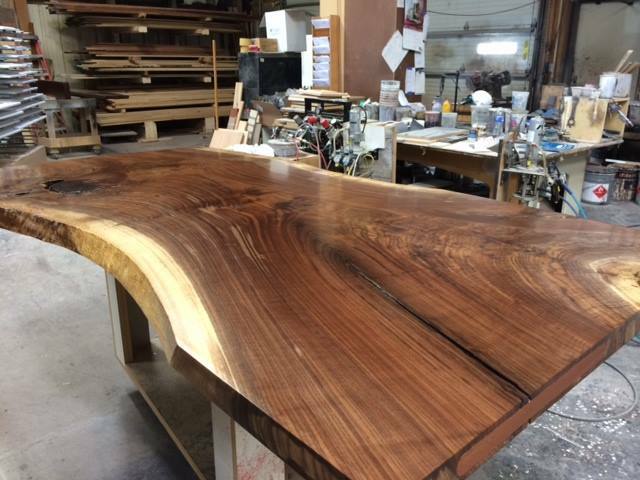 Local California walnut countertops, 3″ thick just sanded and finished in the shop today. 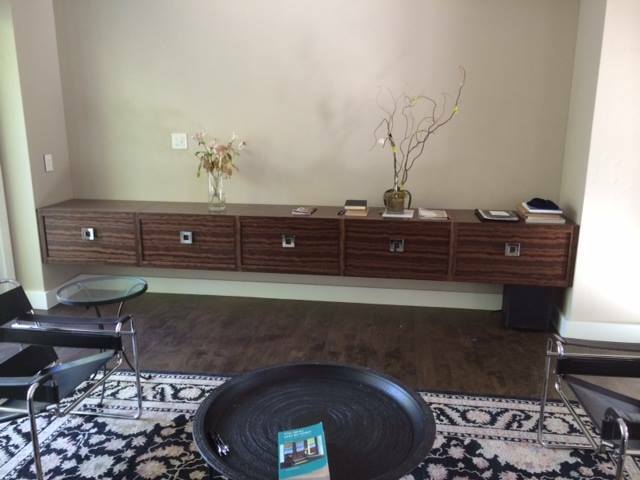 These shelves and wall panels are made out of a textured laminate product. 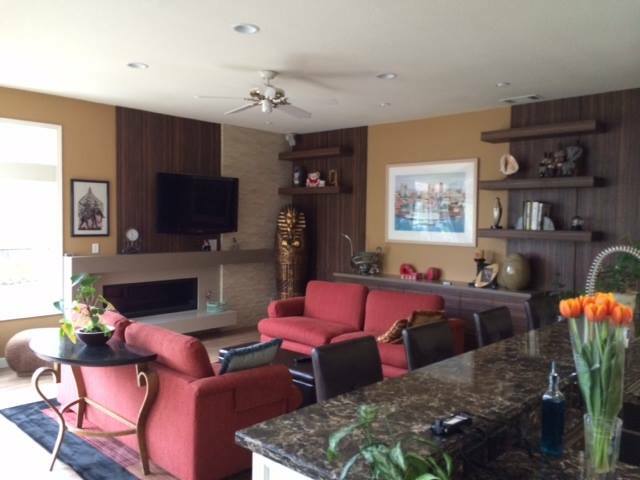 There are many colors and styles to choose from and they look great in a contemporary setting. They were installed just last month. Today we installed a painted display cabinet in Elk Grove. Looks like it has always been there! 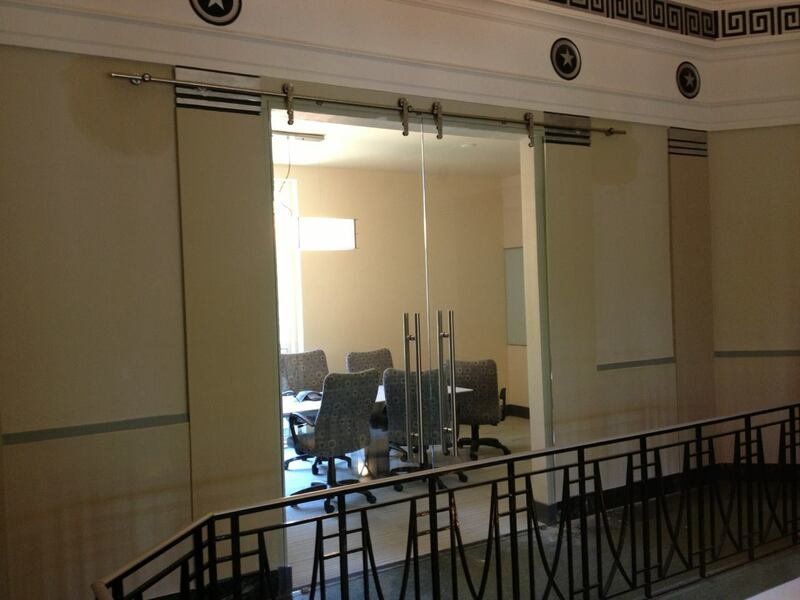 A recent commercial project, sliding, clear glass doors. 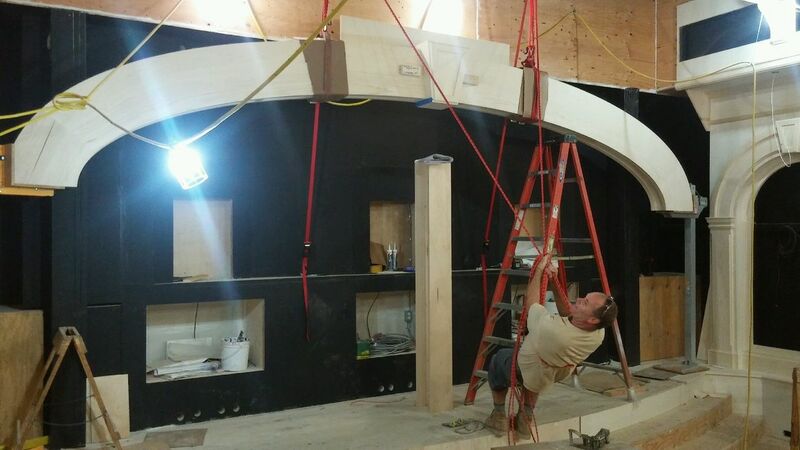 Wall panels installed in a commercial building. The hall light is mounted to the wall panel.